Do you want your business to be part of the LA Spring Fair? Get your brand in front of thousands. Fill out the Vendor Application below. You will be notified by email once your application has been reviewed. Or contact us today by calling (562) 495-5959 for information as to how you and your business can partner with this annual event. plus $100 refundable cleaning deposit. Vendor booth (10 x 10) available upon request. HEALTH PERMIT (temporary/permanent) required prior to the event. You are responsible for the additional fee issued by the County at event organizer's filing. Tables, lights, electrical cords NOT included. Gray water dump, trash dump roll-off bins, electricity are provided. A 3-way compartmental sink and water will be available for use. IF LARGER SPACE IS NEEDED, contact us for additional pricing for your specific needs. Trash dump roll-off bins and electricity are provided. Sale of food or drinks is prohibited without permission from the fair management. ALL APPLICATIONS require a 50% deposit to be paid within 48 hours of approval. Entries will be accepted until March 18, 2019 or until the Vendor block is full. Please fill out this form completely and accurately. The undersigned agrees to abide by the official rules of O Entertainment to staff their booth during all fair hours, adhere to the retail prices listed above, to not drive vehicles on fairgrounds during fair hours, adhere to all electrical, fire, health and other codes whether local, county, state or federal, and to clean their booth space. 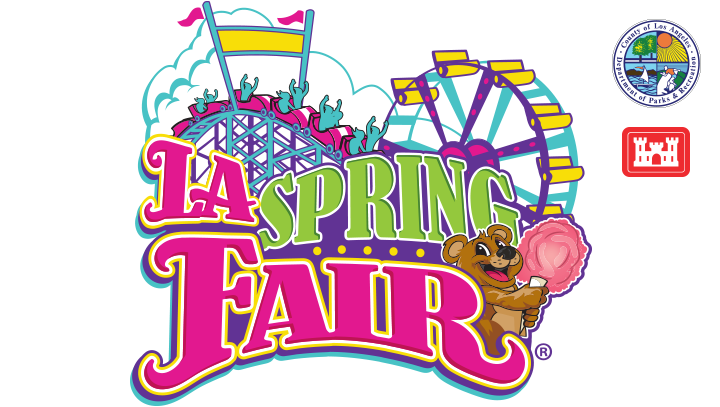 There is overnight security, however, the LA Spring Fair is not responsible or liable for accidents, damage, loss or theft of materials/items/personal property left overnight. You may not bring alcohol into the fair site. All gambling and illegal activity is prohibited. Each vendor is responsible for the management of their waste disposal to designated roll-offs onsite for the event. Disposal of trash into waste receptacles (trash cans) is prohibited. All event power will be shut off no later than (1) hour after the event closes and will not be turned on until (1) hour before the event opens. If booth space is left vacant without prior permission of O Entertainment, vendor is subject to a $50 per day fine and/or having the space resold to another vendor. Any vendor not paying in full their space fee before opening day must pay an additional $100 late fee for the space. By clicking the SUBMIT button, you agree to the terms and conditions.